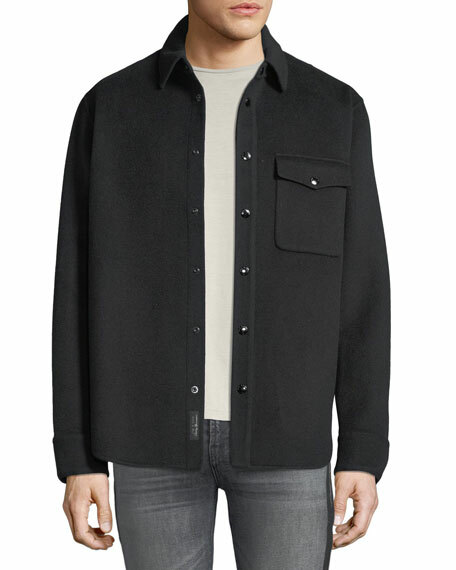 Rag & Bone "Principle" shirt jacket in wool-blend. 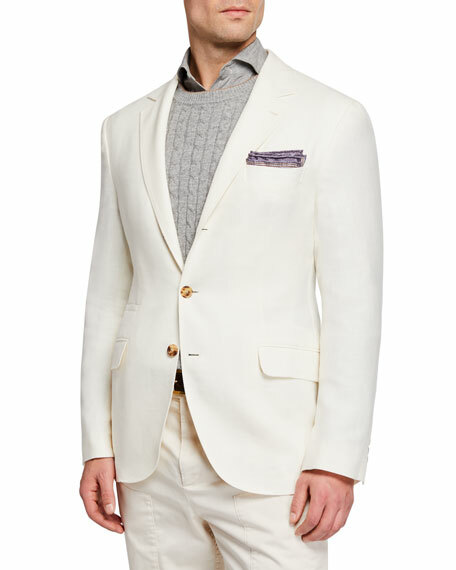 Brunello Cucinelli hopsack linen wool silk deconstructed jacket with notch lapel. 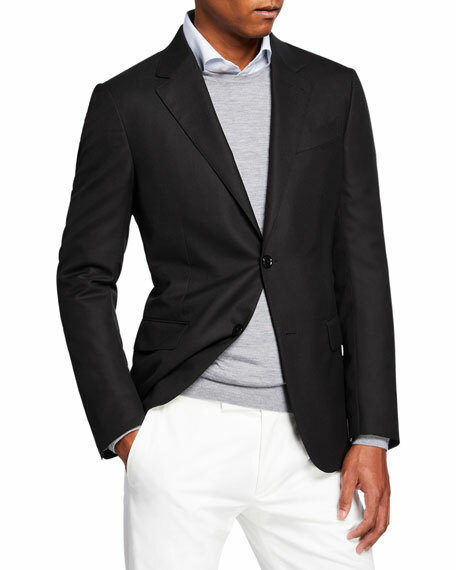 Notched lapel; three-button front. Side flap and welt pockets; chest welt pocket. 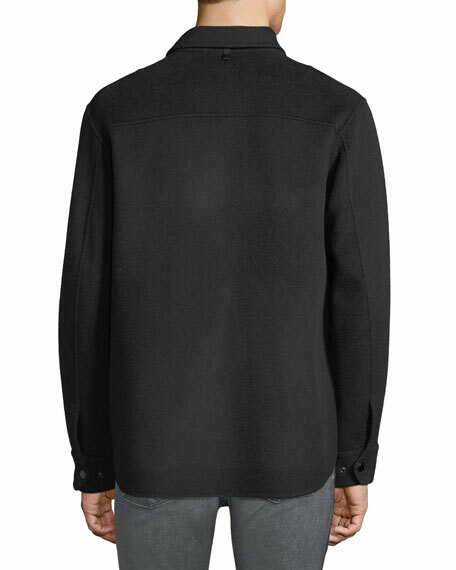 Sleeves with four-button detail. Double-vented back. Linen/wool/silk. Made in Italy. 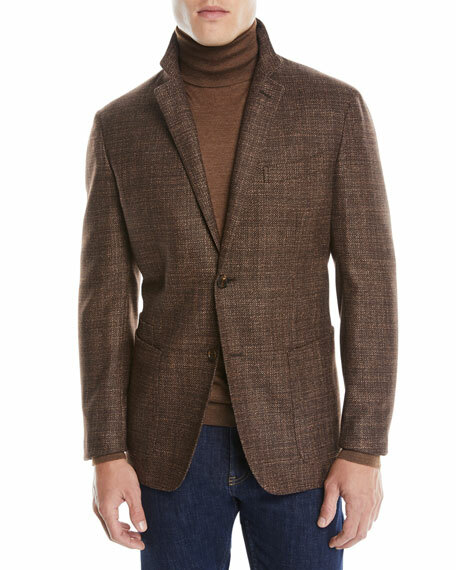 Ermenegildo Zegna textured blazer. Notched lapels; two-button front. Finished sleeves. Chest welt pocket. Patch pockets at hips. Double-vented back. Wool/silk. Cotton/cupro lining. Made in Italy. 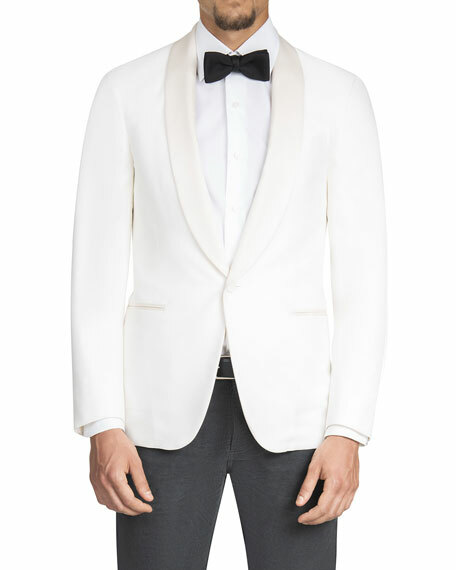 Isaia dinner jacket in solid wool-blend. Satin shawl lapel; button hole. Structured shoulders. 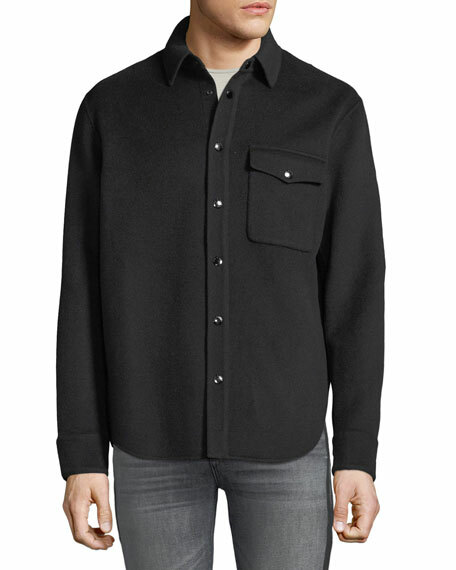 Single-button front with covered button. Front besom pockets. Center back vent. Wool/silk. Made in Italy.